The Rainbow Fish, written and illustrated by Marcus Pfister, is one of those children’s classics that has been used time and time again in classrooms for many purposes. 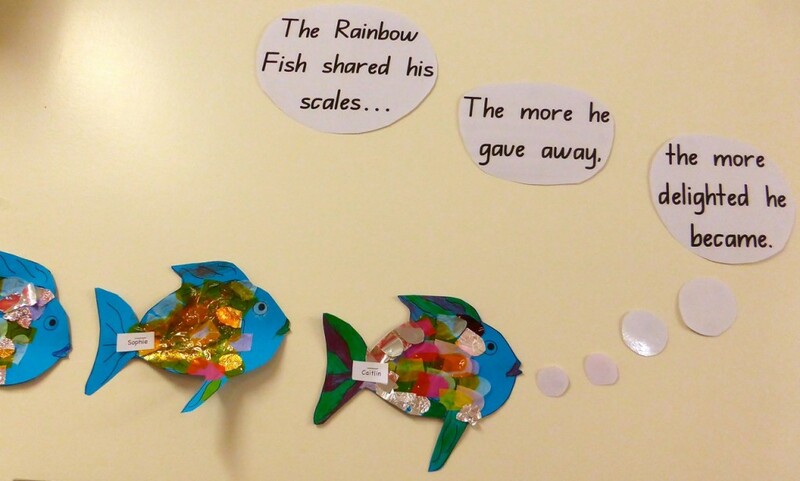 An ideal Kindergarten lesson, it tells the story of a beautiful rainbow fish with stunning scales, who refuses to give any of them away, because they are so very precious to him. 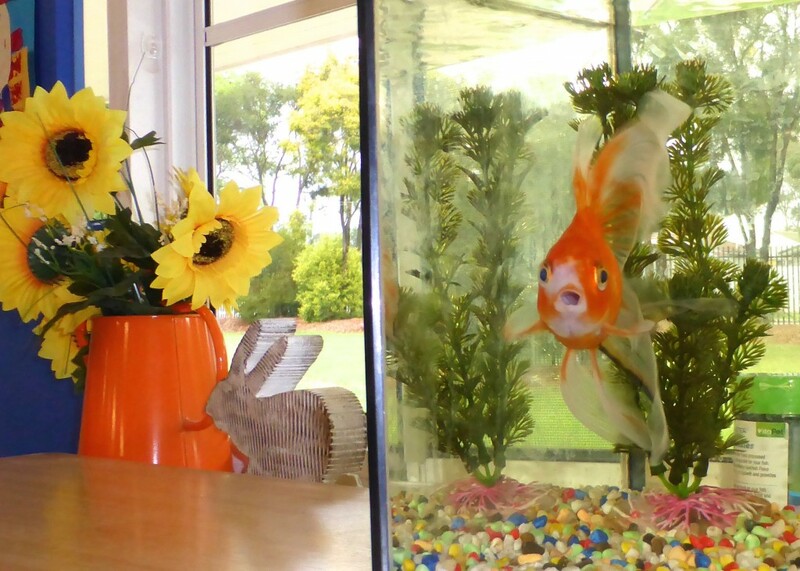 It is no surprise that the other fish then do not want to be around the rainbow fish any longer, due to his selfishness. 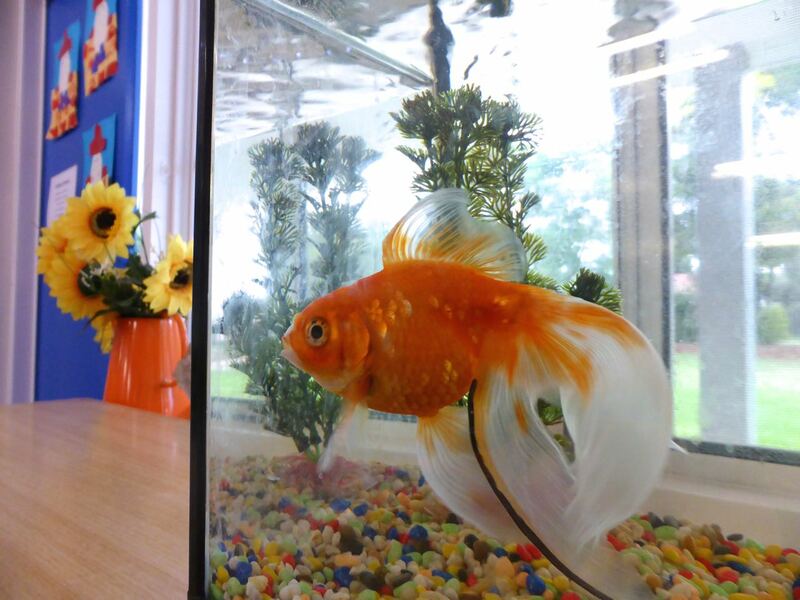 Feeling alone and sad, the rainbow fish seeks advice from the wise old octopus, who tells him that the only way to fix the situation, is to share the beautiful scales he is holding so dear. When the rainbow fish finally decides to do this, he feels so much better, and ends up with an ocean full of friends once more. While this story is an excellent basis for teaching social skills and discussing the benefits of sharing and kindness, it serves as a reminder for us adults too. How often do we not want to share what is precious to us, whether it be our money, our resources, or our time? How often do we turn people away, even unintentionally, because we are too focused on the task at hand? In an industry such as education, our time is constantly consumed with the next thing to do on our list. In order to stay on top of everything, it is true that we do need to look after ourselves to ensure we are not going to reach a burnout point. This being said, God designed us in such a way that when we give of ourselves to meet the needs of others (just as the rainbow fish did), we actually start to feel better. We are doing something which creates a positive result for not only the person we have helped, but ourselves as well. “Come with me. I’ll make a new kind of fisherman out of you. I’ll show you how to catch men and women instead of perch and bass.” They didn’t ask questions, but simply dropped their nets and followed. (The Message). Wow. It’s almost like a spiritual flu shot! Just dwell on that thought for a moment… really dwell on it. If we truly care for ourselves by nurturing our relationship with Christ, and then share the beauty that comes from the experience with others, then just as those around you are blessed by the experience, so too will you be. If you believe Dr Leaf’s statement (based on her incredible research of the human brain), then if we love others, we are looking after ourselves too, and our body’s natural (and incredible) response will be to strengthen itself against disease in and through the experience! 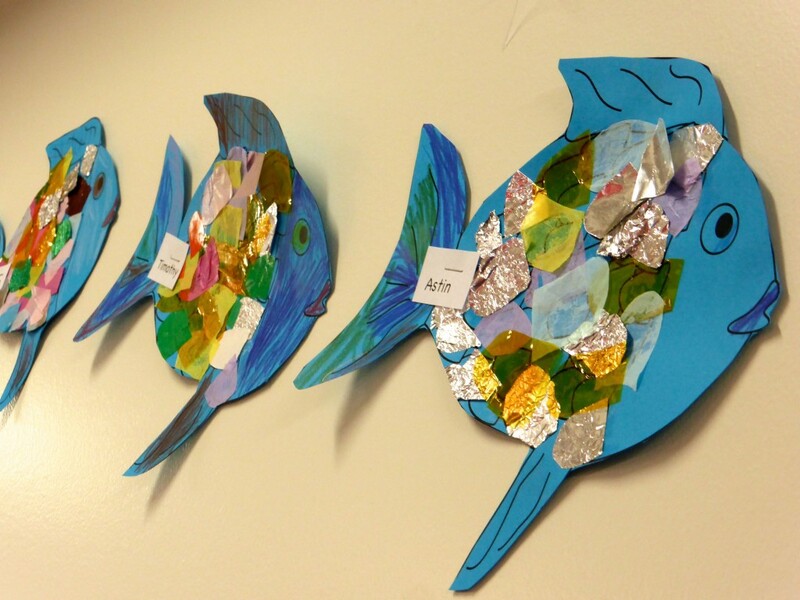 The next time you read The Rainbow Fish to your class, or your child at home, reflect upon what Christ is calling you to do. What sort of fisherman does he want you to be? And what precious gifts from God can you share with those around you? Terror, fear and brokenness… where is the light in our world?